The Council on Social Work Education (CSWE), the profession’s accreditation body, is rethinking its blueprint for training social workers for future generations. President Darla Spence Coffey and Board Chair Barbara Shank are spearheading the initiative, Envisioning the Future of Social Work, that will identify trends likely to impact social work and outline scenarios for the profession’s future and implications for social work education. The initiative was launched last summer as the 2020 expiration of CSWE’s current strategic plan approaches. The process will be guided by consultant Josh Mintz from the firm Cavanaugh, Hagan, Pierson and Mintz. Meetings and focus groups were convened at the October 2017 Annual Program Meeting in Dallas and a brief survey was sent to CSWE members. 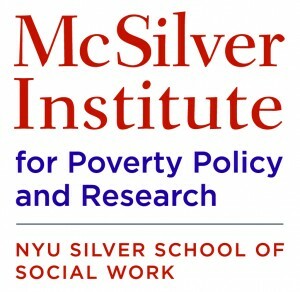 Social work’s role in healthcare is a key focus as new trends are developing such as the utilization of interprofessional collaborations; recognition of the importance of prevention, trauma, and social determinants; and the reliance on the provision of services outside traditional delivery systems. According to the Bureau of Labor Statistics, the employment of social workers is expected to grow by 15 percent between 2016 and 2026 with much of that growth due to increased demand for healthcare services as the population ages. The years ahead will present a host of new challenges for the social work profession with advances in technology providing new tools and posing new problems. There will be opportunities to expand the use of telebehavioral health applications and challenges such as finding ways to address the deleterious effects of cellphones on Millennials. The social work profession has responded to numerous social developments over the course of its 100-plus years in existence. At the turn of the 20th century, led by the likes of Jane Addams, social workers were at the forefront of the settlement house movement that helped to integrate millions of European immigrants fleeing crop failure and a shortage of jobs. In the 1960s, many social workers were active in community organizing as northern cities adjusted to the migration of six million African Americans fleeing the south’s Jim Crow laws and seeking better livelihoods through industrial jobs. In the wake of the deinstitutionalization of the nation’s psychiatric wards, social work shifted its care delivery to meet the needs of the mentally ill in community settings. Social workers are always among first responders to provide disaster assistance and trauma counseling. Throughout its history of meeting citizens’ needs where they are, social workers have been actively engaged in promoting social justice and seeking a more egalitarian society. Jane Addams helped promote policies to protect workers’ rights—many were included in Progressive Party’s 1912 national platform and were later incorporated into President Franklin D. Roosevelt’s New Deal legislation. Led by Dr. Dorothy I. Height and Whitney M. Young, Jr.—who would become president of the National Association of Social Workers (NASW)—social workers played pivotal roles in the civil rights movement and the passage of civil rights legislation. As social work moves through the 21st century, opportunities and challenges abound. Income and wealth inequality are approaching levels not seen since the late 1800s and Roaring 1920s. America’s oligarchs are exerting enormous influence on the nation’s politics and governance. Policies favoring the wealthy with dismal public support sail through the House and Senate. The middle class has been hollowed out threatening democracy and the constitution. Social workers will be needed to mobilize citizens to vote and participate in the political process. As we witnessed Tuesday in Alabama, coalitions across racial, ethnic, socioeconomic, and intergenerational divides will be needed to counter political forces favoring big business and the wealthy. The CSWE Board of Directors will review a report during its March 2018 meeting with recommendations that will inform its strategic planning for its next phase beyond 2020. CSWE President Darla Spence Coffey says that process will probably take another year, perhaps by Social Work Month in March 2019. 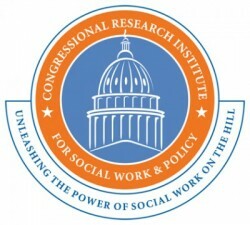 The post The Future of Social Work appeared first on Congressional Research Institute for Social Work and Policy. The Future of Social Work was originally published @ Charles Lewis – Congressional Research Institute for Social Work and Policy and has been syndicated with permission.